Florida Georgia Line performed at the Houston rodeo on March 20, 2017. As their name indicates the duo Florida Georgia Line hails from Florida and Georgia. "Cruise" was released in May of 2012 also released was "Get Your Shine On" off their album It'z Just What We Do. That same year the duo played the 2012 Country Throwdown Tour. "Cruise" hit number one in December of 2012. A remix of "Cruise" featuring Nelly later hit number 4 on the Billboard Hot 100. "Get Your Shine On" was released in January of 2013 and reached number one in May of 2013. 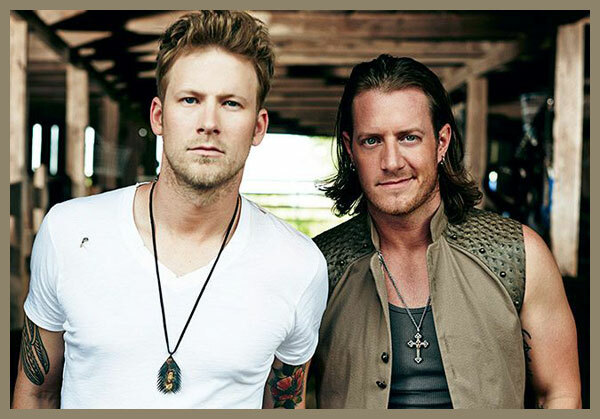 The duo released "Round Here" in June of 2013 and it hit number one in September of 2013. "Stay" hit number one in December of 2013 after being released in October of 2013. In March 2014 they celebrated another number one hit with "This Is How We Roll" a collaboration with their buddy Luke Bryan. Florida Georgia Line was part of the Dirt Road Diaries Tour featuring Thompson Square and headlining act Luke Bryan. In October 2014 they released their second album, Anything Goes. "Dirt" their first single off their new album was released July of 2014.